Author: Shaw, David W. Set In . . . Description: In June 1862, just days before the epic clash at Gettysburg, a small party of the Confederate Navy mounted a devastating series of raids on the New England coast. At the center of the conflict was the hotheaded young adventurer, Charles W. Read. Serving aboard the CSS FLORIDA off the coast of Brazil, Read hatched a daring plan to sail a captured brig directly into the Union's home waters and wreak havoc on their shipping lanes. Burning or capturing more than twenty merchant vessels in less than three weeks, Read's rampage caused widespread panic in Northern cities, and brought enormous pressure to "stop the rebel pirate." At one point there were nearly forty Union ships sent to hunt down Read in a cat-and-mouse chase that finally led to his dramatic capture off the coast of Maine. 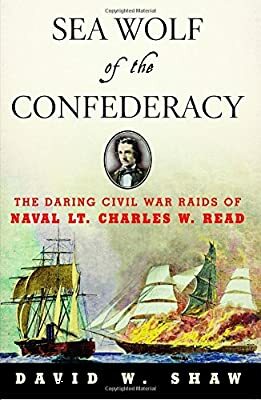 SEA WOLF of the Confederacy brings to light this fascinating yet little known episode of the war, combining Shaw's flair for powerful storytelling with extensive research. Taking readers to the heart of the action on the decks of the burning ships, Shaw offers a compelling portrait of the complex Read and an insightful new perspective on the divisions splitting North and South during this dark time in American history.